Japan failed to meet GDP expectations in the second quarter. The pace of economic growth has slowed in Japan, casting doubt over the country's ambitious stimulus plan and a planned tax hike. 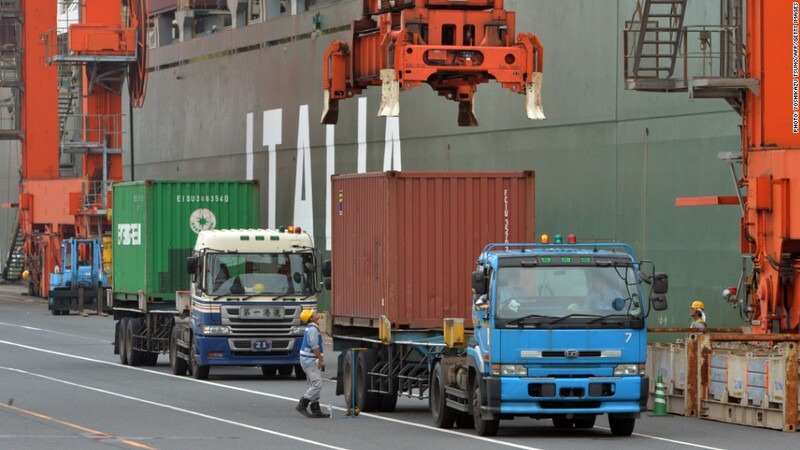 Japan's economy grew at an annual rate of 2.6% in the second quarter of 2013, the Cabinet Office said Monday. The expansion was slower than the 3.6% increase expected by analysts. The government also said growth in the first quarter was at a lower rate than previously reported, with GDP at 3.8% instead of 4.1%. Japan's benchmark Nikkei index dropped more than 1% on the news. The results should raise market expectations that policymakers will delay or suspend an unpopular tax increase that could take a bite out of growth just as a bold economic stimulus plan appears to be bearing fruit. The government had planned to double consumption tax to 10% by 2015. Paid by consumers when they buy goods or services, the tax will be increased in two stages, rising first to 8% in April 2014. Should the government follow through with the tax hike, it would help raise revenue and prove that Japan is committed to fiscal reforms. But the measure, as planned, could also slow the economy. But the third pillar of Abenomics -- structural reforms -- has been tougher to implement. If the government bails on the tax hike, some economists see little hope that Japan's parliament will follow through with other reforms. The tax hike would be a first step toward arresting Japan's rising government debt, which topped 1 quadrillion yen for the first time, according to data released Friday by the finance ministry. The Organization for Economic Cooperation and Development and other debt watchers have cautioned that Japan must do more to pare rising debt. "Stopping and reversing the rise in the debt-to-GDP ratio is crucial," the OECD has said.